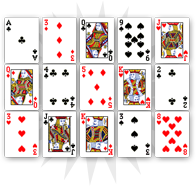 The five of spades describes treason and is one of the few spade cards that relate to emotions. The five of spades warns about the dangers of empathy and attachment and encourages individualism. 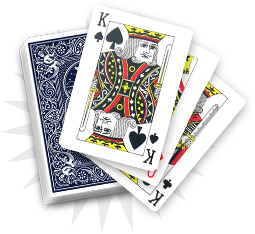 Next to some of the heart cards, the five of spades can evoke the end of a romantic relationship between two people. With the diamonds, it symbolizes melancholy linked to material attachment and time damage. 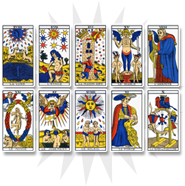 As a bad omen, the five of spades can darken the reading and is feared by the consultant and the clairvoyant. The five of spades refers to your qualities and invites you to be careful. In the next few days, you have to stay vigilant and not be too vulnerable. Do not trust the people you are not close with. As a bad omen, the five of spades announces betrayal and the end of a romantic relationship or friendship, despite your implication and attachment. Playing on emotions and memories, this card refers to a sad time you will find hard to cope with. 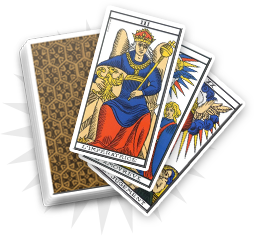 In order to stay positive, you have to observe the other cards you picked to understand the five of spades’ power. The five of spades announces a person who will play you and use you against your will. You have to be careful and avoid negative people who think about their interests and are not genuine or altruistic. The five of spades plays on the emotions to darken situations and bring disillusion.